medicine, you've already heard at one point or another in your life how these two have the capability of working miracles. This year, L'Occitane combines the two to create something that is delicious enough to eat and very safe to use on yourself and your baby's skin. How does Shea Butter and Honey react to our skin? Shea Butter nourishes the skin and protects it against all types of daily damage while honey softens and comforts even the most sensitive skin. Together they have the ability to turn even the roughest skin into something as smooth as a baby's bottom! 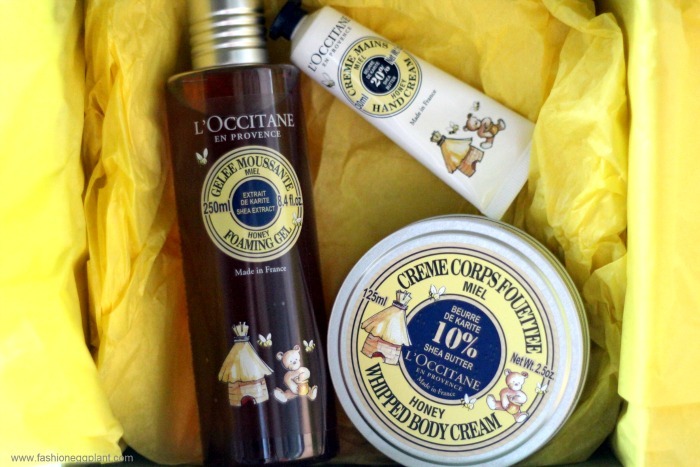 My love affair with L'Occitane started years ago when I was in college studying culinary arts. 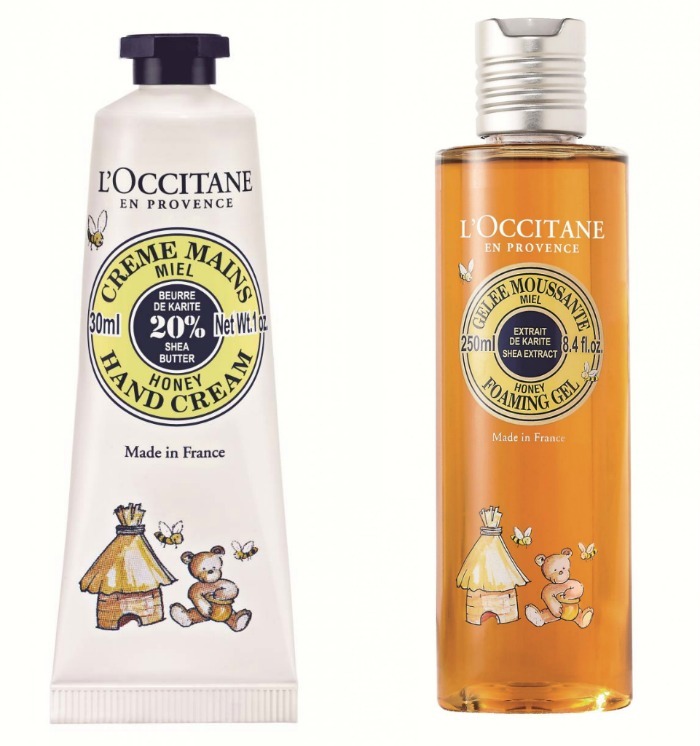 My hands were under constant abuse everyday and it was only L'Occitane's hand creams that could control the damage and keep them soft. The new Honey Hand Cream, though much cuter, still works as equally good. Combined with the new foaming shower gel makes your skin super soft even after just one use. And now my new favorite, the Honey Whipped Body Cream. In my opinion, this should be the new standard for all lotions and body creams. The texture is heavenly. I just want to lather it all over myself all the time. It is extremely light, airy and smooth. Reminds me of whipped butter but without the greasiness. It is pure genius to have body cream in a souffle form since it totally gets rid of the hot and heavy feeling that body creams usually carry along with them and make them impossible to use during the summer time. This whipped variation totally makes it work and is comfortable enough to use even during these extremely hot summer months. 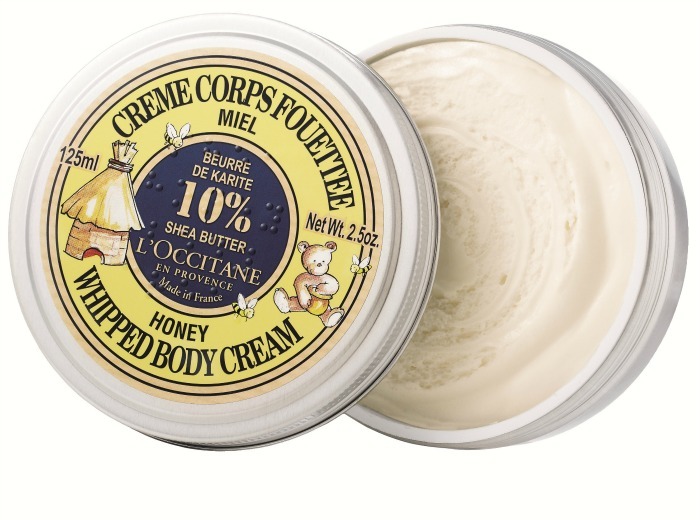 Go to any L'Occitane counter and give it a try. I'm sure you'll love it as well. These three are just the things you need this season to re-nourish your skin after getting it exposed and abused from constant frolicking and sunbathing under the sun.